For the ultimate Provencal experience you can’t surpass Saint Remy de Provence. From the tree-lined boulevard leading into town to the charming historic buildings, magnificent local produce and reputation for having inspired Impressionist genius Vincent Van Goph, there really are lots of things to do in Saint Remy de Provence. While slightly challenging to navigate, Saint Remy’s historic centre is charming. Although no longer surrounded by ramparts and a moat (the moat was transformed into the town’s ringroad), the maze of beautiful but narrow streets, decorated with shuttered windows, shady squares and cooling fountains, is a delight to wander around. Amidst the picturesque scenes in the heart of the old town is the birthplace of astrologer Nostradamus, although it is understated with only a plaque to commemorate his time in the town. The tall old town streets delight with lively cafes that spill out onto the streets, boutique shops and food specialty outlets such as patisseries and chocolatiers. One such specialty shop I defy anyone to resist is Joel Durand’s Chocolate Shop. If the window doesn’t tempt you a quick whiff when someone opens the door will certainly leave you drooling. The talented chocolatier has developed an alphabet of chocolate flavours, amongst which are Provencal favourites ‘L’ for lavender and ‘V’ for violet. He delights in using Provencal ingredients such as almonds, praline, honey, liquorice and olives, changing fillings with the seasons, to bring fresh and local flavours to his chocolates and they are absolutely magnificent. I have to confess, the small box we brought didn’t even make it to the afternoon. To read more about Joel Durand’s chocolate shop click here. Another opportunity to enjoy Provence’s fantastic fresh produce is the Wednesday morning market, which leads from the Rue de la Republique along narrowing streets into the old town. The fruit and vegetables will vary with the season but don’t miss the bread, cheese, meats, olives and vinegars. There are also plants, ceramics, paintings and lavender. Purple garlic is a specialty of the region in Spring. Provence is famous for its splendid market and Saint Remy’s lively display of the community and beautiful produce on Wednesdays is exceptional. Be sure to get there early if you need to park nearby. The market starts around 8am and wraps up about 12.30pm. Saint Remy has been synonymous with Vincent Van Goph since the artist spent a year in an asylum here after chopping off part of his ear. A handsome building in town houses the Centre d’Art Presence that displays reproductions of his work but the real place of pilgrimage for serious Van Goph fans is St Paul du Mausolee, the asylum in which the artist resided. The facility has recreated Van Goph’s room and it is thrilling for fans to recognise the subjects of his paintings. In a place of such beauty it is easy to understand how Van Goph created almost 150 paintings during his year here. The facility still operates for mental health patients but most of the second floor is dedicated to Van Goph. A less confronting Van Goph experience is the walking tour set up by the tourist office. The one-kilometre walk in, around and out of town is lined with panels depicting Van Goph’s paintings in the surroundings that inspired him. 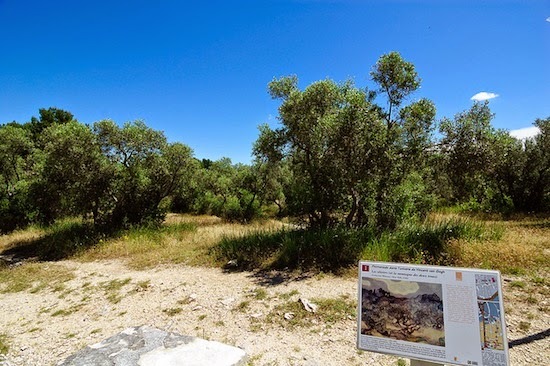 A map guiding you around the trail is available from the tourist office and the walk leads from the heart of town out towards Glanum. The Roman town of Glanum was established around 6BC and when it was abandoned around 260AD, residents settled in Saint Remy de Provence, making it one of the oldest towns in France. Glanum is a fascinating ancient cultural site. It was discovered in the 1920s and it is possible to walk along the main street of this ancient site and visit the market place and Roman baths. Archaeologists continue to uncover more of the settlement and believe there may be up to five times more than the area they have uncovered so far, so it is growing every day! 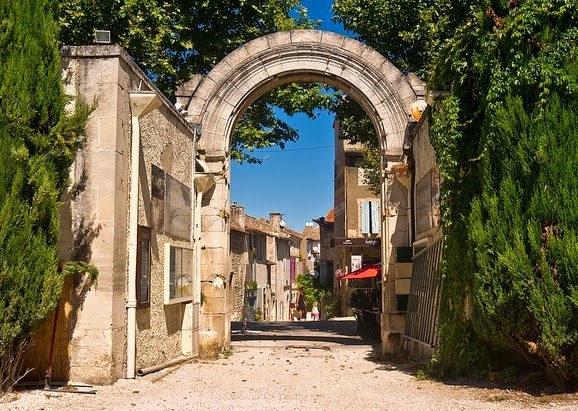 Have you been to Saint Remy de Provence? What did you most enjoy?